Thanks to our sponsors at Club Jameco! Head over to The Amp Hour section of their site to see the kit we discussed this week and to find out more about submitting a kit for a coupon or for revenue if it’s chosen by the community. The USB DVB-T (such as this one sold on Amazon) is a great way to learn more about the radio spectrum, even without a ham license (because you’re only receiving signals, not sending them). The software defined radio inside works with programs like SDRsharp (Windows) or GQRX (Mac, Linux). Thanks to Matt Richardson’s video for alerting us to this! If you haven’t seen Commander Chris Hadfield doing “Space Oddity” by David Bowie (from the ISS! ), you’re missing out! “At least we’re not Detroit!” is no longer valid. They have a new Robocop statue. And a rapidly recovering auto sector! Not from Detroit, but from Michigan (Grand Rapids), thegeekgroup.org have a great YouTube channel with lots of well produced videos on electronics and machining. A promotional video from DASIX was recently posted online. Chris has been shopping for a scope and finally realized the value of the upgradable firmware (it looks “cheaper” initially). Dave and the EEVblog forum were discussing why the “Alt Trig” was removed from modern oscilloscopes. PCBweb is one of the first CAD tools with a built in Digikey library. The online tool also looks nice (though there is no desktop analog yet). Thingsquare Code allows for you to compile and distribute your code online (and track revisions). The reason this makes sense is because you’re already buying into their platform. SapphireOS is an Internet of Things campaign that just launched on Kickstarter. This was also mentioned by Ryan Brown when he was on the show. And speaking of Kickstarter, the Othermill is a PCB milling machine with a 4″x5″x2″ pocket. OK for many boards you’d want to do at home, but chemical etching could do the same for many things (though you could also engrave with the Othermill). Chris dove more into machining but has a tool capable of still making PCBs (1 mil accuracy). What kind of PCB artwork have you seen? Anything as crazy as these? Jeremy Hong sent in a picture of his basement lair, which looks great! Harrymj from the /r/TheAmpHour subreddit submitted the lab he works in at Stanford for the solar car team. Nice gear and a bonus Delorean! Be sure to take pictures with other if you’re attending Maker Faire or Hamvention! 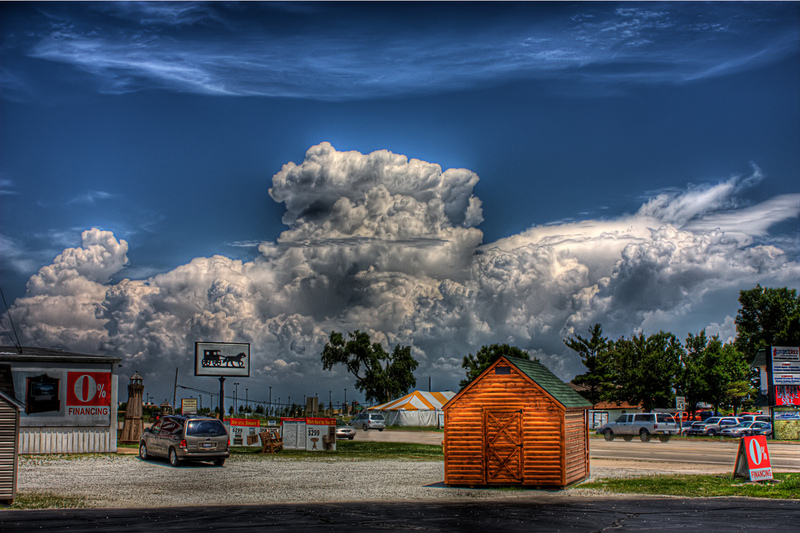 Thanks to Richard Cox for the pictures of where all our future programs will live…in the cloud! Web apps are dangerous course the developers can kill it whenever they want it. For example one promising web based 3D modelling packege (Tinkercad https://tinkercad.com/ ) has closed down, and this all the designs will be obsolete real soon now. According to this article, Autodesk will be acquiring TinkerCAD. Cloud ending up on a tape – Its not true. It usually ends up in dev/null (at least in case of free services). No one gives a crap about your files, and you are a sucker if you trust third party. I wish I had Boardscope :(. This commercial looks like a Far Cry 3: Blood Dragons intro. Yea, found this out when I got the “Silverilght plugin has crashed” message. Thought Silverlight was being phased out in favor of HTML5, etc. Why would they bother developing the app with it? I can;t find the discussion for the Alt trigger… Link please. Hi. I am listening the AmpHour during jogging. Still have many km to go till listen all of them. And small question. In the file description (ID TAG or whatever it is called) Can you add the ep number. Most players sort by title end it is getting mixed. Interesting show Guys. Keeps you going! I’m not sure about licenses for oscilloscopes. If I hack it, it might not hurt anyone, because I might not buy it anyway for my hobby usage, for example unlocking a signal generator, which I could build with a 555, just not as easy to use. But what about if it is released in public and anyone installs it, even companies who would buy it otherwise? Eventually the oscilloscope manufacturer has to increase the entry level price and it would hurt all hobbyists. And I’m sure the company lawyers could cause trouble, if not released anonymously. Regarding the internet of things: remote access to devices and vulnerabilities is a big problem. Recently a hacker scanned some systems on the internet and installed a worm on vulnerable embedded devices, which in turn scanned more devices and installed itself on them. Finally 400,000 embedded devices were infected: http://internetcensus2012.github.io/InternetCensus2012/paper.html It was just a proof of concept, so no malicious code was installed, and it was deleted on reset of the device and after the test ended, but of course still very illegal. But it demonstrated the scale of the problem. I don’t want to think what dangerous things could be done, if someone finds a control system for traffic control or something similar and has malicious intend. I just bought my tickets for Maker Faire 2013. I am sooooo looking forward to going. I’ll take lots of pictures and send some in to you. Thanks for mentioning that SDR! That thing looks awesome for a student, I’m so gonna get one! We need an open source file format for cad design like the open source file format for office documents. Then everything can use the same format.